Home / Admin-HR jobs / NEW JOBS @ KUWAIT AUTOMOTIVE IMPORTS! 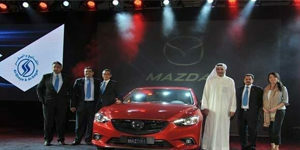 NEW JOBS @ KUWAIT AUTOMOTIVE IMPORTS! We, at Kuwait Automotive Imports (KAICO), attempt to give our clients pleasant things that increase their ways of life and relationships. Our strengths lie in our skill to deliver a high standard of customer service when managing our clients through each stage of the development. KAICO (Kuwait Automotive Imports) is the Automotive Business of Al Shaya Group. The Kuwait Automotive Imports has been in the Middle East over years. The Al Shaya Group is involved in various businesses like real estate, hotels, automotive, retail, trading – employing over 28,000 employees belonging to 90 nationalities, presence in over 19 countries, with 55 plus brands and 1700 stores located across markets of Middle East and Eastern Europe. We, at Kuwait Automotive Imports , attempt to give our clients pleasant things that increase their ways of life and relationships. Our strengths lie in our skill to deliver a high standard of customer service when managing our clients through each stage of the development. Our team have put together a desirable standing for professionalism and service. We ensuring excellence in service on 4 wheel drive and prestige cars. KAICO offer high quality innovative solutions for your needs. We offer a reliable and competitively priced service which is evident through feedback we receive from our customers. We have requirements for jobs in sales, branch management, marketing, engineering, technical, purchasing, senior management, IT, executive and operational vacancies.